The organization must be within the vicinity of a bakery-café or general market area. Product donations, event sponsorship requests and silent auction requests must be made a minimum of six weeks prior to the date of your event. To ensure the quality of our product, food donations must be picked up on the day of your event. Organizations seeking our day-end product. We are proud to bake fresh every day and reserve our day-end product to local food pantries and food shelters. If you are a food pantry or shelter please contact your local bakery-café directly to schedule a pick-up day. Covelli Enterprises and Covelli Family Limited Partnership have a policy to reply to all donation requests in writing. If Covelli Enterprises and Covelli Family Limited Partnership are not able to fulfill your request, you will receive an email to that effect within four weeks of receiving your request. If Covelli Enterprises/Covelli Family Limited Partnership is able to fulfill your request, you will receive a phone call or email to coordinate the donation within four weeks of receiving your request. 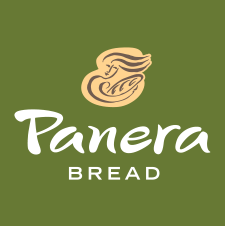 Covelli Enterprises and Covelli Family Limited Partnership reserve the right to require that the organization display a “Compliments of Panera Bread” or similar sign (at a minimum) with the product donation. Covelli Enterprises/Covelli Family Limited Partnership reserves the right to specify how the product is to be displayed and handled at the event. All decisions regarding donation requests for Northeast and Central OH, Western PA, Broward and Palm Beach County, FL, West Virginia, and Ontario, Canada, are the sole discretion of Covelli Enterprises and all decisions are final. All decisions regarding donation requests for the Tampa, FL, East Coast, FL, and Orlando, FL, areas are the sole discretion of Covelli Family Limited Partnership, and all decisions are final.